LISTEN NOW! Greg, John, and Pat discuss how the one in authority doesn’t bear the sword for nothing and getting a biblical understanding of authority. They continue to discuss how Jesus said that the centurion had the greatest faith in all Israel. Romans 13:1-5 says “Let everyone be subject to the governing authorities, for there is no authority except that which God has established. The authorities that exist have been established by God. Consequently, whoever rebels against the authority is rebelling against what God has instituted, and those who do so will bring judgment on themselves. For rulers hold no terror for those who do right, but for those who do wrong. Do you want to be free from fear of the one in authority? Then do what is right and you will be commended. For the one in authority is God’s servant for your good. But if you do wrong, be afraid, for rulers do not bear the sword for no reason. They are God’s servants, agents of wrath to bring punishment on the wrongdoer. Therefore, it is necessary to submit to the authorities, not only because of possible punishment but also as a matter of conscience.” The one in authority does not bear the sword for nothing. Authority is given a power. The question some have is; will God establish an evil power? The answer is yes He will. Often times those who are in authority are a result of the people. If the people are good and right then their leadership will be good and right but if the people are not right and evil then then those in authority will reflect it. There are many theories today but God has a plan and order to what He does. If God establishes it and you fight against it then you are fighting against God. What we can do is do what we are told to do in the Bible in 1 Timothy 2:1-2 and that is to pray for those in authority. The leadership will turn when we turn our hearts back to God. 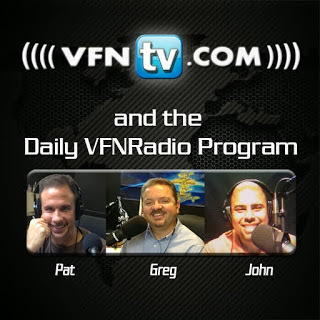 Greg, John and Pat discuss how Congresswoman Noem says her biggest job in Washington D.C. is ministering. According to CBN News “She’s making her mark not just within the Republican Party but in the kingdom of God, too. And she’s had to overcome many challenges along the way.” Congresswoman Noem is from South Dakota and is very passionate about her role both as a mother and congresswoman. “I am 100 percent convinced God created me to be a mom,” Noem told CBN News at her home in Castlewood, S.D. “Every other job that I have or duty that I have is just extra things that He’s put on my plate.” After trying to get several bills through unsuccessfully she has come to the conclusion that God has more for her to do. “You know He placed me there, yes, to work on policy, but maybe my biggest job was to minister to individuals,” she said. Noem said she spends her time not just trying to change minds on policy but trying to change hearts as an effective witness in a city with desperate needs.” They continue to discuss how congresswoman Noem is an answer to prayer. An elected official who loves God and country in that order and that she sees an opportunity to minister elected officials one heart at a time. Greg, John, and Pat discuss how the national debt is $17 trillion dollars and rising and what exactly does that look like and more importantly what does it mean. Today the national debt is $17 trillion dollars which breaks down to $54,000 per citizen. In order to have a better perspective as to what $17 trillion is they make some comparisons to give us perspective. If the debt was compared to seconds on a clock we can begin to understand what $17 trillion looks like. For instance if one million dollars in seconds would take 12 days to pay the one billion would take 32 years and one trillion would take 32,000 years. At 17 trillion it would take 554,000 years to pay. We are in trouble. America has made money to buys its God. They continue to discuss a poem that was engraved in a church wall.